Water is the foundation of your bodily health, as it comprises 50 to 70% of your physical composition. You may wonder why adequate hydration is important if your body already contains so much water. Why do you need to “refill” everyday? Isn’t there already enough water in your body to keep you healthy, without having to add more? Water is paramount for many functions within the body, from eliminating waste to maintaining a healthy internal temperature. Without adequate water supply, your body would not have enough fluids to carry out its vital functions. Since you lose water every day through normal functions (sweat, urine, etc),you must replenish your fluids by drinking more water. Dehydration is a result of losing more water than you intake,and it can have dangerous effects on your body. So stay hydrated, and enjoy a healthy body! It is important to hydrate your body with the cleanest, healthiest water available.Remember, not all beverages can hydrate. For instance, alcohol, caffeinated, and sugary drinks do not prevent dehydration, and unfortunately they can sometimes intensify dehydration symptoms. Water, on the other hand, will replace lost fluids and help keep your body at peak performance. There is nothing better than fresh, uncontaminated water to thoroughly nourish your body. With Kangen Water®, you are drinking water the way it should be. 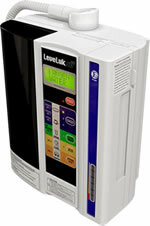 Clean, healthy water, conveniently filtered right at home, will help you stay hydrated all day. You can choose the pH level of your water for optimal inner and outer health. From supplying you with the recommended 8 to 10 glasses (or 2 liters) of healthy water a day, to moisturizing your skin with mildly acidic Beauty Water, the Enagic® Kangen Water® filtration machines will help sustain overall wellness for you and your household. When water is so essential to your health, you need high quality Kangen Water® to nourish your body from the inside out. Would you like to find out how you can get 0% financing for a Kangen machine as low as $25 a month? Call, text, or email me today and I show you your options! DOES DRINKING KANGEN WATER REDUCE OXIDATIVE STRESS? Oxidative stress is a stress that is placed on your body every day whether you are aware of it or not. 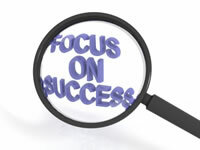 You may not know about it but it is thought to have a hand in a number of serious health conditions. It is even a factor in aging. Redox (reduction-oxidation) stress and aging go hand in hand. When you realize that the aging process is sped up, or possibly caused, when cells sustain damage then you realize that aging is not the natural process you thought it was. If you could slow this damage then you could slow the aging process itself. As far as stress and health conditions, the possibilities are astounding. This type of stress may be one of the causes or even the main cause of conditions such as cancer and Alzheimer’s disease. These are the reasons why an understanding of the nature of stress is so important. What Exactly Is Oxidative Stress? Free radicals are highly reactive molecules within your body. They find their way into your body from interactions with sources such as the sun, your environment, and your body itself produces them. These free radicals interact with the cells in your body. They don’t just interact with the cells in your body. They damage the cells. They can cause damage to proteins, membranes, and genes. This damage weakens the cells leaving your body vulnerable to illness and leaving your body’s cells less able to reproduce themselves. When your cells cannot replicate themselves then you cells age more quickly than before. Can This Condition Be Avoided? In part, this abnormal redox can indeed be avoided. Because much of the stress that your body experiences comes from environmental factors, much of it can be avoided. The feasibility of this avoidance, however, is another question. This condition probably cannot be avoided entirely seeing as how your body itself produces the free radicals that cause it. Theoretically, the complete avoidance or neutralization of free radicals is a fascinating prospect. After all, if these free radicals contribute so significantly to disease and to the aging process itself then what could be accomplished if they were removed or neutralized entirely? 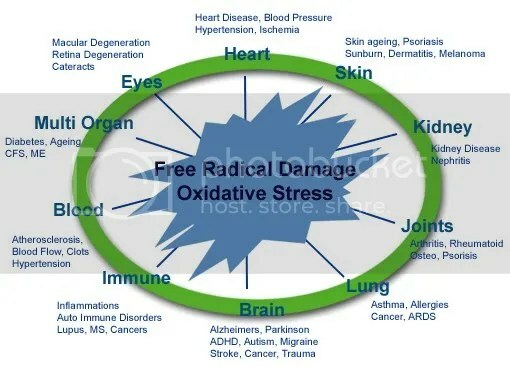 Oxidative stress is a process that goes on inside the body and most people are not even aware of it. They should be. This process can contribute to or possibly even cause certain serious diseases. More than that, it could have a hand in making people get older before they actually have to. KANGEN WATER contains a huge amount of hydrogen gas which act as a very powerful antioxidant and therefore help your body prevent disease and ageing. 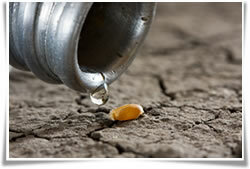 Now imagine the feeling if you drink 2-3 liters of KANGEN WATER per day…for the next 15years! It’s never too late to feel young again! We are giving away h20 pet bottle each month all summer long. Text kangenpet to 555888 for a chance to get a free water bottle for your pet. Hydrate your pets this summer with Kangen Water. Water is an important but often overlooked nutrient for Pets. As a matter of fact, water—the often forgotten nutrient—may be the “greatest medicine” for many specific ailments for all animals. The Pets body consists approximately of about 65-75 percent water. The 10 percent discrepancy can be accounted for by differences in age and amount of body fat and muscle mass. 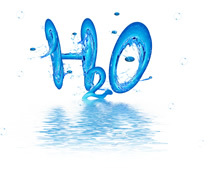 Water is critical for all body metabolic activities, and is required for a number of fundamental physiological processes, including normal utilization and digestion of all nutrients, regulation of body temperature, and muscle contraction with strength, joint lubrication and waste elimination. Kangen Water® is a healthy antioxidant, which hydrates, provides a pH balance, detoxifies and much more, then can we share this water with our pets? The answer is a resounding YES! Water from Enagic’s Kangen Water Machine can improve the quality of life for our favorite pets. Consider the fact that these animals spend all their time on the floor, the ground and even on chairs where we have used chemicals for cleaning and where they are prone to bacteria, insects and parasites. Our pets can benefit from drinking Kangen Water, which can increase their immunity to these challenges, and help to detoxify their systems. or do you fill up their bowl straight from the tap? Either one of these could be harming your beloved furry friends. The bottled water is most likely very acidic, which creates a breeding ground for disease and discomfort, and the tap water is most likely loaded with chlorine, lye and other potentially harmful chemicals. So the same problems which can affect us from poor water sources can also affect our pets. Therefore, when our pets are introduced to healthier, alkalized, ionized water, just like with people, pets have had amazing results. Pets who have been drinking Kangen Water® have enjoyed more energy, brighter eyes, shinier coat, and healthier joints. 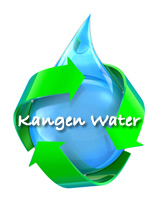 Kangen Water® can be made in a variety of pH levels. It is recommended that most pets drink the lowest alkaline pH level of 8.5. Many pets are finding relief to their problems by drinking Kangen Water®. With Enagic’s SD501 home machine you can make a variety of different waters straight from the tap which can be used for all sorts of different pet needs. Some for drinking, some for cleaning, some for disinfecting, so there are many ways that pets will benefit through the use of the waters with different pH levels. 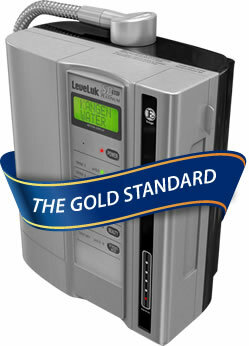 Kangen Water Competition Scam,What the knock off ionizer’s are hiding from you. Kangen Water Competition!! What the knock off ionizer’s are hiding from you. The engine size determines the strength and potency of the water as well as the COST. The larger the engine, the better the water and higher in price for each machine. Some deceptive companies on the internet tell the consumer their Ionizers are the same as the Enagic SD501 but for cheaper. Instead of advertising their machines TOTAL ENGINE SIZE they highlight that their machines have the same number of electrode plates as Enagic’s 7 Plate SD501… But number of plates are only part of the equation. They bank on the consumers lack of knowledge on engine construction. So How Do You Determine A Machines Engine Size? Every ionizer engine consists of electrode PLATES made up of Platinum and Titanium (This is where the machines cost comes from). The TOTAL SURFACE AREA of all the plates in the machine is the engines size. This can be calculated by each plates height x plate width x 2 sides x number of plates. This calculation gives you the engines actual size usually measured in square inches. Aside from Enagic’s machines which are made by Enagic in Japan there are other companies in Korea who attempt to copy Enagic’s technology with cheaper material and sells the distribution rites to the general public to label and market as their own machines. 1. Contact address is a home or small business. What this means is that the business you are buying from is actually a one man to 20 person operation who bought the licensing rights to rename and sell as their own product. Just Google Map the address and see for yourself. 2. The ‘About Us’ page on the website tells little or nothing about the company their history or background. Enagic is the originator of home ionizer technology and the ONLY ionizer company employing thousands of people GLOBALLY, starting from the factory technicians in Japan, to the international sales offices, and to the distributors all over the globe. Compared in technology and reliability there really is no comparison. Enagic machines are assembled BY ENAGIC in Japan by trained technicians in a professional and controlled environment. When you know ALL THE FACTS predatory marketing can’t sway your decisions. Enagic® is paving the way for innovative water technology with their industry-leading line of powerful water ionizing machines. If you want the Gold Standard for Kangen Water® generation systems, as well as the most modern scientific research and superior Japanese craftsmanship, you want Enagic®! Since 1974, Enagic® has become a master in providing in-home alkaline water ionization machines, and has helped thousands of people live healthier and more balanced lives. The manufacturing technology behind each machine is meticulous, thorough, and incorporates the latest and most cutting-edge scientific research with impeccable precision. 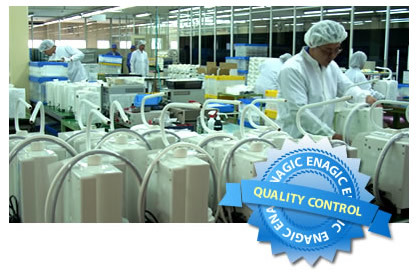 Each machine is assembled by one expert technician from start to finish in the Enagic® factory. The production of parts, packaging, assembly, testing, inspection, and final packaging are all completed in-house to ensure the highest quality product. Enagic® is the only choice for Kangen Water®. TP270 titanium plates are coated platinum by patented technology, not just sprayed like many of the other imitations on the market. The patented technology used to platinum-coat the plates are what gives Enagic® machine such superior water ionization. The ionizing plates have a surface area that is larger than any other product on the market – sometimes as much as 4 times as large! 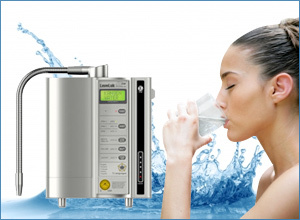 Enagic® has raised the bar for water ionizing machines. With more surface space, higher quality ingredients, and patented technology being used, you will never find a duplicate anywhere else! Enagic® has proven themselves as a reliable and groundbreaking company for almost 37 years, and has acquired many certifications along the way. 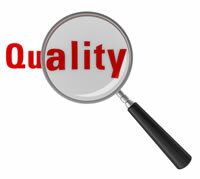 ISO 13485: A comprehensive management system for the design and manufacture of a medical device. 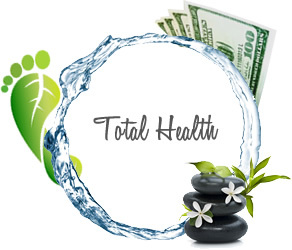 The Enagic® Mission is to provide true health, wellness, and balance with healthy alkaline Kangen Water® to everyone, everywhere! Don’t wait another day to find out what the Enagic® difference can mean for your life. Contact me for more information. I have many wonderful, free educational resources that I can share. Change your Water, Change Your Life! ? Let’s Bust A Few Kangen Water Myths! It’s time to set the record straight. 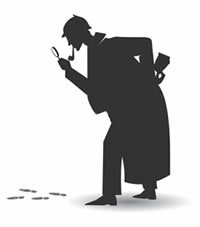 You may have read various claims made by competitors in an effort to disuade you from the Truth. These claims are designed to create smoke screens with an effort to sell you inferior technology, claiming to offer what only Enagic® can deliver. While Enagic®’s plates are unrivaled in quality, they are also unrivaled in size, as they have a surface area that is larger than any other machine on the market.Enagic®’s plates are a whopping 4X larger than that of the main competitor! Are you getting the full story on bottled water? Probably not – and that could be vital to your health! 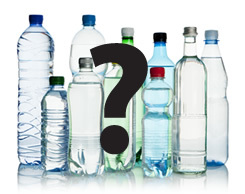 Bottled water is consumed by millions each and every day and is a major global industry. The good people at Story of Stuff have actually researched the gigantic marketing campaign used by bottled water manufacturers and have uncovered some revealing information about bottled water and the marketing machine that leads us to believe things that, well, may not be entirely true. Everyone needs to know the true story behind bottled water! Did you know, for example, that the Food and Drug Administration does not require that a bottled water manufacturer disclose the source of the water or the bottling location? Did you also know that the FDA does not force manufacturers to test their water;they have the responsibility of doing it themselves? And numerous taste tests have shown that bottled water doesn’t taste any better to the average person than tap water. Facts like these and more are things you should know and understand in order to promote wellness and have security about the source of YOUR water. With Kangen Water®, you face no uncertainty. You know exactly what you are getting – great-tasting ionized alkaline water that delivers optimal hydration with no secrets. After all, many diseases thrive in an acidic environment, and who knows what kind of environment exists for bottled water manufacturers and their water sources? Do you want to gamble on uncertainty, or do you want to bank on a sure thing with healthy alkaline water? Visit my website and see how the wonderful taste and properties of Kangen Water® can help you make the clear choice – and the RIGHT choice!